The Federal Transit Administration announced the $1.2 billion agreement — the largest transit grant it has awarded since President Trump took office — and tried to push back on the idea that the administration has been reluctant to fund transit projects. The Puget Sound region will receive nearly $1.2 billion in federal money to help build a light-rail line to Lynnwood, the Federal Transit Administration announced Thursday, putting to an end two years of uncertainty spurred by soaring construction costs and the Trump administration’s stated hostility toward funding transit projects. The FTA announced the agreement — the largest transit grant it has awarded since President Donald Trump took office — and at the same time tried to push back on the idea that the administration has been reluctant to fund transit projects. She said that the fact that most of Lynnwood Link’s $3.2 billion funding comes from local taxes helped move the grant process along. Trump, in his official budget proposals, has twice proposed changing the law to zero-out federal funding for bus, rail and streetcar projects. But Congress has twice rejected that idea, and has funded the transit grant program at higher-than-ever levels. Despite that, the FTA has repeatedly been accused of dragging its feet, or even refusing to disburse, the grant money that Congress authorized. Sound Transit also needed months to revise and negotiate its grant application, because construction inflation and new features drove estimated costs up $550 million in 2017. The FTA said Sound Transit was low-balling inflation risk and should add more contingency money into its local budget. 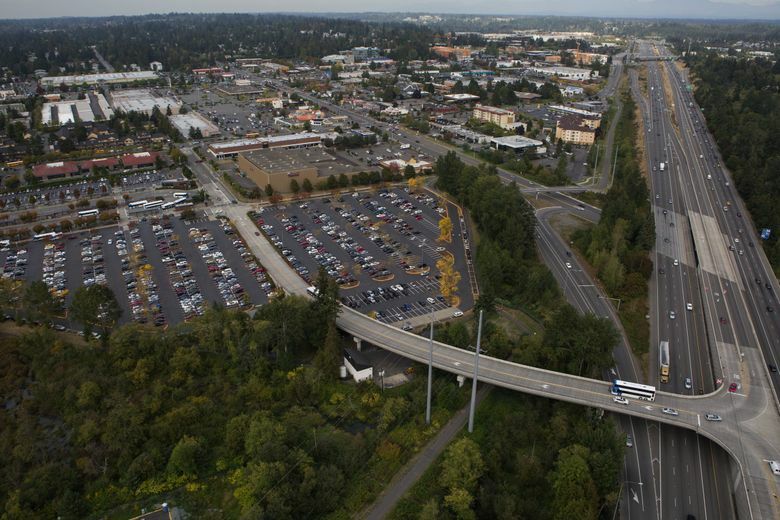 At the same time, Sound Transit conducted “value engineering” to reduce costs on the Lynnwood line. Construction on the line will start early next year, with rail service, from Northgate to Lynnwood, scheduled to begin in 2024. Williams said the administration has doled out more transit grant funding ($3.3 billion) than the Obama administration did in its first years in office ($1 billion), when the nation was emerging from the Great Recession. The Obama administration number, however, was drastically reduced in 2010 when New Jersey Gov. Chris Christie canceled a commuter-train tunnel under the Hudson River, a massive project that had been slated for $3 billion in FTA funding. That includes $43 million for a new Snohomish County bus line between Bothell and Paine Field. Williams said she couldn’t say whether the president would once again push to eliminate transit grants when he proposes his budget next year, but that the FTA would continue to follow the law. With Democrats controlling the incoming House of Representatives, such a proposal would likely have a minimal chance of becoming law. Earlier this year the Government Accountability Office faulted the FTA for just what its critics contend. The congressional watchdog wrote that the agency “runs the risk of violating federal law” because of how it was processing grant applications. The GAO wrote that even after Congress funded transit grants, the FTA’s annual reports still reflected Trump’s prior proposal to eliminate those grants. Williams said they have addressed the GAO’s concerns and that the grants awarded speak for themselves. Washington’s congressional delegation has spent considerable effort over the last two years lobbying the FTA to award grant money. “There has been some pushing to keep these grant applications and projects moving,” said Bryan Watt, a spokesman for U.S. Sen. Maria Cantwell, D-Wash. He referred to repeated letters sent to U.S. Transportation Secretary Elaine Chao, urging funding. “That’s in addition to day-to-day poking and prodding we do to keep these grants/programs a top priority,” Watt said. Seattle Times staff writer Mike Lindblom contributed to this report.